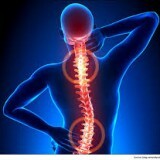 Home » Injury Awards » $90,000 damages for chronic neck and back pain. On March 30, 2016, the BC Supreme Court assessed damages for chronic soft tissue injuries suffered in two motor vehicle accidents (“MVAs”). I conclude that Ms. Nijjar suffered soft tissue injuries to the muscles of her neck and back in both the first and the second accident. The injuries caused by the second accident were more significant and Ms. Nijjar experienced more intensive pain and discomfort of longer duration following the second accident. She also had pain on the left side of her face, jaw and some left arm pain caused by the inflation of the air bag on her left side and also reported some hip pain. These complaints resolved within a short time. Her most significant ongoing symptoms were pain in her neck and upper back; and in her lower back. I conclude that Ms. Nijjar made a good recovery following the first accident, although she continued to experience mild symptoms of discomfort, aggravated by certain activities, up to the time of the second accident. She did not miss work as a security guard after the first accident. She did take time off from a job with Sears for a period of about two months and did not do any janitorial work for a period of about three months. She was sufficiently recovered to travel to India three months after the accident and remained there for about two months. On her return from India she resumed working as a security guard and doing janitorial work. She attempted to return to the Sears job but was not re-hired. Ms. Nijjar had more severe symptoms following the second accident and continued to be symptomatic at time of trial. Dr. Hershler opined that she suffered soft tissue injuries involving both muscles and ligaments; and a right-sided small cervical disc protrusion caused by the accident that may be contributing to her symptoms; although this remains a matter of uncertainty. Ms. Nijjar also continues to experience periodic headache which Dr. Hershler believes is cervicogenic. The symptoms Ms. Nijjar experienced were not severe enough to cause her to seek relief from prescription medications for more than a couple of months following the May 23, 2012 accident and at times she has not required the use of even non-prescription medication to manage her symptoms. Having considered all of the evidence and the range of damages suggested by these authorities, I conclude that an award of $90,000, before deduction for a failure to mitigate, is warranted. I reduce that award by 15% for the failure to mitigate, and award the sum of $76,500.